South Korean actor Song Joong-ki has been finalised to host 2018 Mnet Asian Music Awards to be held in Hong Kong. The Mnet Asian Music Awards (MAMA Awards) will feature K-pop bands BTS, GOT7, Momoland and Seventeen along with South Korean solo artists Tiger JK and Yoon Mi-rae at the Asia World Expo to be held on Friday, December 14. Rumours are rife that Janet Jackson might be making a special appearance at the show. Earlier it was announced that Jung Hae In will host the 2018 MAMA Premiere in Korea and Park BO Gum will host 2018 MAMA Fan's Choice in Japan. On December 3, it was confirmed that Song Joong-ki will host the 2018 MAMA in Hong Kong. 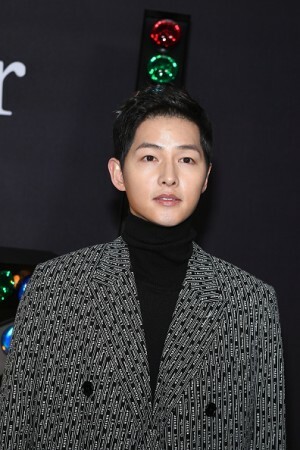 Song Joong-ki has earlier hosted the ceremony in 2012 and 2017. This will be the third time for the actor to be a part of this prestigious award show. The "Descendants of the Sun" fame actor will host MAMA ceremony slated to take place at Asia World-Expo on Friday, December 14. The MAMA Week is considered to be a large scale event and is scheduled to kick off at Dongdaemun Design Plaza in Seoul on Monday before heading to Saitama Super Arena in Japan on Wednesday. According to Mnet division head Kim Ki-Woong, "Celebrating the 10th anniversary, the concept of 2018 MAMA is the reinterpretation of the legend of Icarus, a story of bravery and unwavering passion that serves as an inspiration to all those hoping to fulfil their dreams". He further stated that "Our goal is to create a platform so that K-pop and Asian music can infiltrate the global mainstream music industry". Kim Hyun-soo, head of convention business at CJ E&M, said that "We have signed a MoU with major music charts across Asia like Japan's Oricon, China's Tencent Music and Vietnam's Zing MP3 with the goal of making MAMA Asia's greatest music festival". Various other celebrities like Kim Sa-rang, Jung Ryeo-won, Han Ye-seul and Cha Seung-won are expected to appear at the awards as presenters.